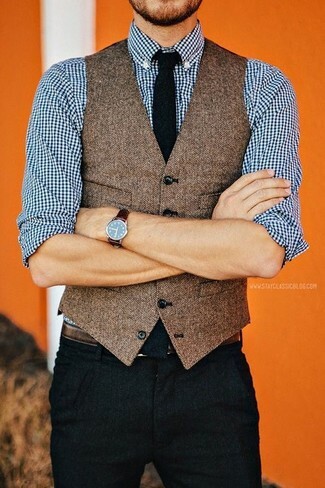 For a casually elegant ensemble, marry an Asos Slim Vest In Herringbone with blue skinny jeans — these two items fit really well together. 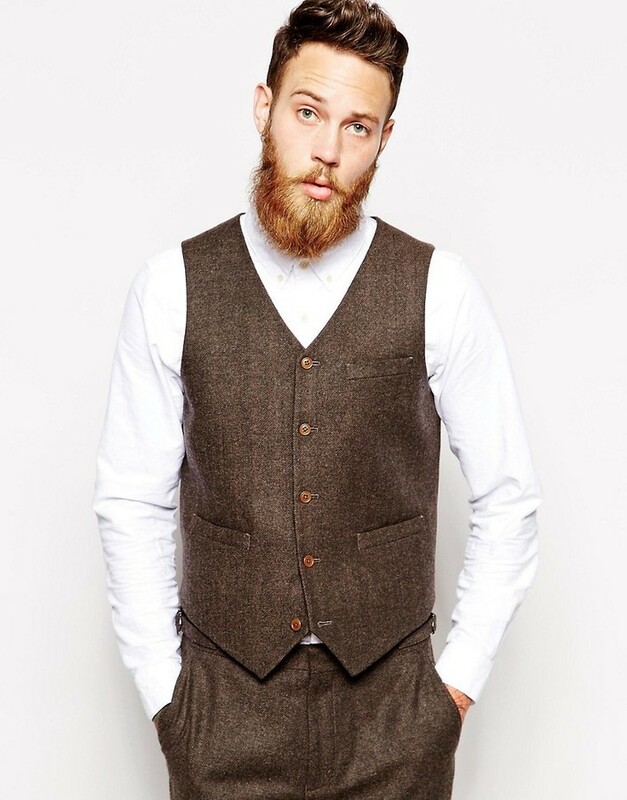 This combination of a brown herringbone wool waistcoat and navy jeans is super easy to pull together in next to no time, helping you look on-trend and ready for anything without spending too much time combing through your wardrobe. 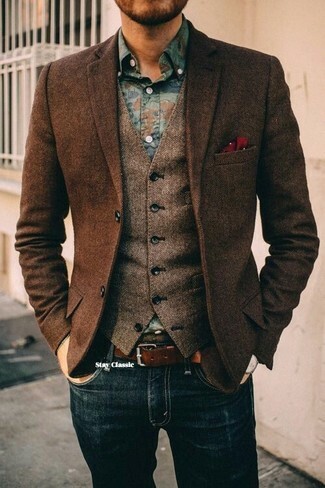 As you can see, being a dapper dude doesn't require that much effort. 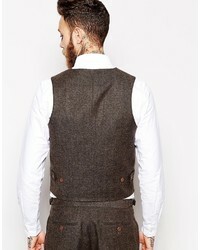 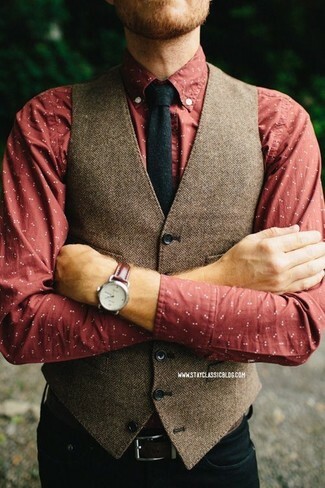 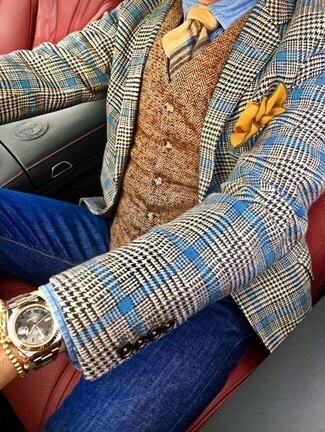 Just choose an Asos Slim Vest In Herringbone from Asos and black chinos and you'll look wonderful. 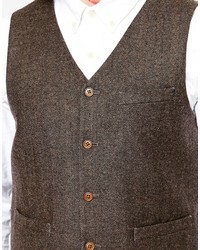 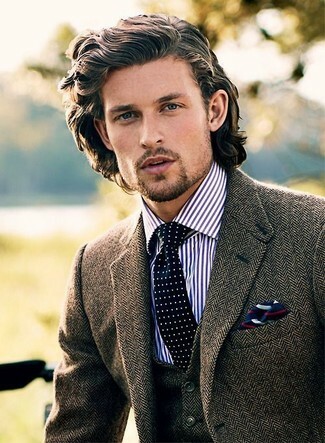 Choose a brown herringbone wool waistcoat and a brown herringbone wool blazer for a sharp classy look. 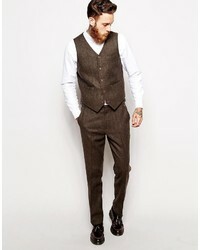 For a casually elegant outfit, dress in an Asos Slim Vest In Herringbone from Asos and black jeans — these two items go beautifully together.